Trevor Corser sadly died on 30th November 2015, aged 77, whilst working on his 2016 retrospective at the Leach Pottery. We were looking forward to seeing Trevor return here so that we could acknowledge his great contribution to the Leach Pottery, but in his absence we continue our plans to celebrate his long association with us, and in March present 'Trevor Corser: 40 Years a Leach Potter', our first major exhibition of his work. The exhibition includes works which trace the timeline of his professional life at the Leach, as well as pots and artefacts from his personal collection which give a fascinating insight into the man, his life and interests. Also on show are a group of pots made for exhibition in Tokyo in 2008, later exhibited at the Mashiko Museum, including tiles and unomi depicting harbour and boat scenes in the naive style of Alfred Wallace, with vases, bowls, lidded pots, teapots, platters and chargers glazed and decorated in the standard Tenmoku and Celadon glazes of the Leach pottery. 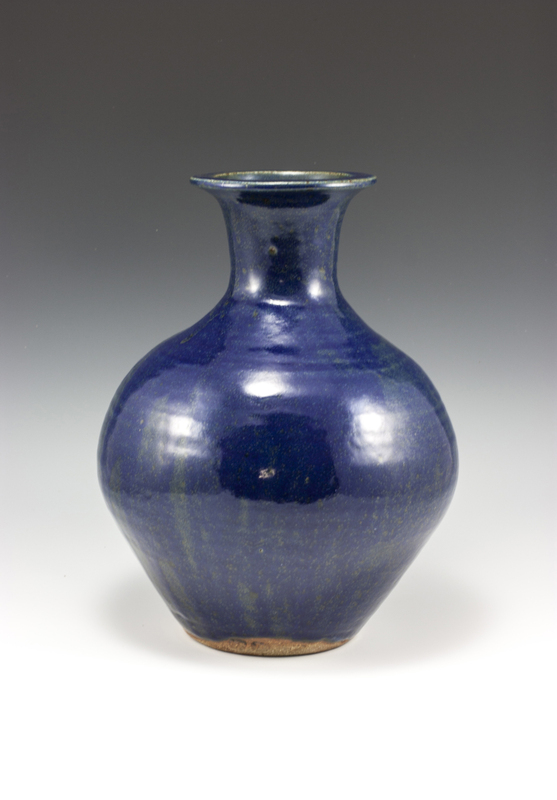 Others are glazed with the copper greens and blues of Trevor’s personally developed glazes, alongside examples of his iron and cobalt brushwork, glaze and slip trailed designs and sgraffito inlaid with white slip. To honour Trevor's memory and ensure his place in the Leach Pottery story, the exhibition is accompanied by a specially commissioned, limited edition, Leach Pottery publication, Trevor Corser: His Life & Work, with contributions from Professor Simon Olding of the Crafts Study Centre and fellow potters John Bedding, Clary Illion and Jeff Oestreich.